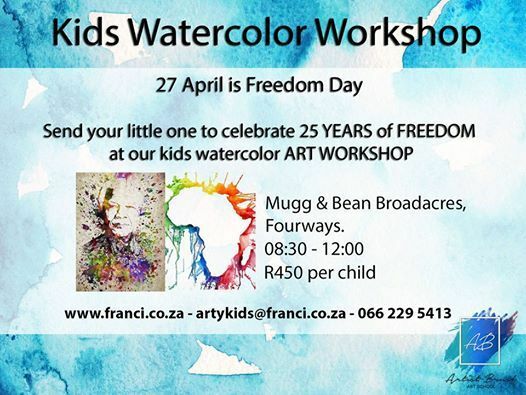 Half day Kids Watercolor workshop Mugg & Bean Fourways Broadacres centre on FREEDOM DAY. 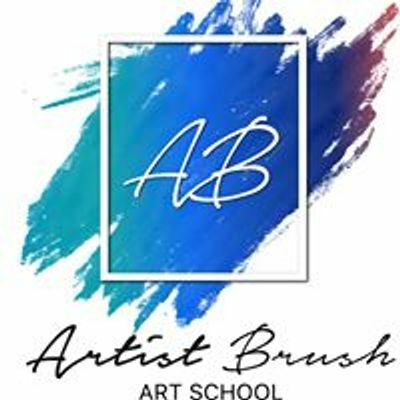 We will start at 09:00 have half an hour break and then finish off our art work. Simply send an email to YXJ0eWtpZHMgfCBmcmFuY2kgISBjbyAhIHph and we will send you an invoice for payment. 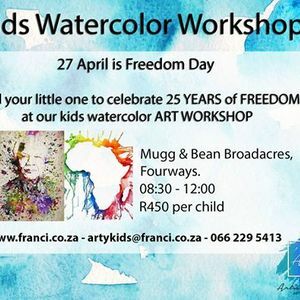 Please note that you will need to buy your own food and drinks from Mugg and Bean. We look forward to having loads of fun! Kindly note that space are limited - don't miss out!